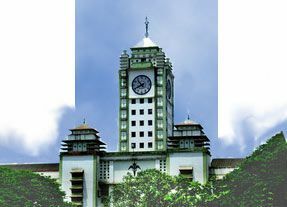 The Calicut Medical College was established in 1957 as the 2nd medical college in Kerala. Since then the institution has grown into a premier center of medical education in the state. The vast and sprawling Medical College complex is spread over an extensive area of 270 acres located in picturesque surroundings about 10km from the heart of Calicut. It is affiliated to the University of Calicut and serves 2/5 of the population of Kerala. A well equipped Medical Education Unit was also started . The Dental College which was earlier attached to Medical College has been separated and is functioning independently. The college also conducts in Nursing, Pharmacy, Lab technician training, training of Radiological Assistants and Ophthalmic Assistants. MSc.Nursing was started in the College of Nursing during 1997. The Medical library and most of the departments of the college have been provided with computer facility.